Lush Fab Glam Inspired Lifestyle For The Modern Woman: D.I.Y Homemade Gifts They Will Love. 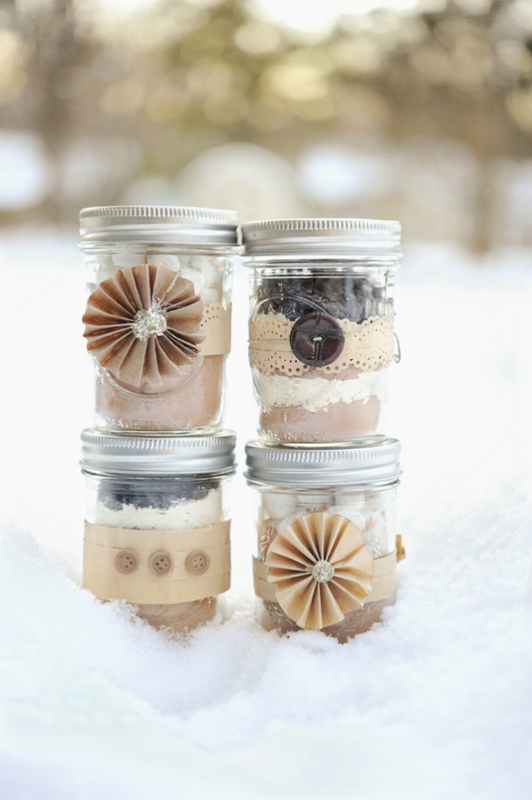 D.I.Y Homemade Gifts They Will Love. Can't bake? Perfect. Can't cook? That's fine too. Don't own a hot glue gun, paint set or sewing kit? Don't worry, because you won't need any of these to create your own homemade D.I.Y and creative crafts gifts. Read on to see 5 easy homemade gifts that's perfect for everyone! This is a wonderful spa inspired skin care and skin exfoliating 'gift for her'. A Spoon for mixing the ingredients. Mix the ingredients together in a bowl and then transfer it to your gift jar. Add a label with instructions and embellish with a ribbon. Write the following instructions on a paper label and attach to the jar. 1. Follow your usual bath/shower routine to thoroughly cleanse your skin. 2. 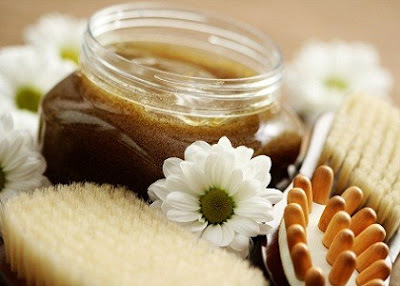 Use your hands or an exfoliating glove to apply the body scrub to your entire body. 3. After exfoliating, rinse thoroughly and pat your skin dry or air dry. 4.Voila! You have now completed your first D.I.Y skin exfoliating session. This gift is perfect for your girlfriends, moms and sisters, it's an essential beauty/grooming trick especially for the cold winter months when dry chapped lips are unavoidable. Mix the honey, sugar and olive oil together in a small bowl and then transfer to your jar. Add gift label and decorate with a ribbon. 1. Thoroughly wash your hands with soap and water. 2. Wet a cotton pad with warm water and use it to gently scrub and soften your lips in a circular motion. 3. 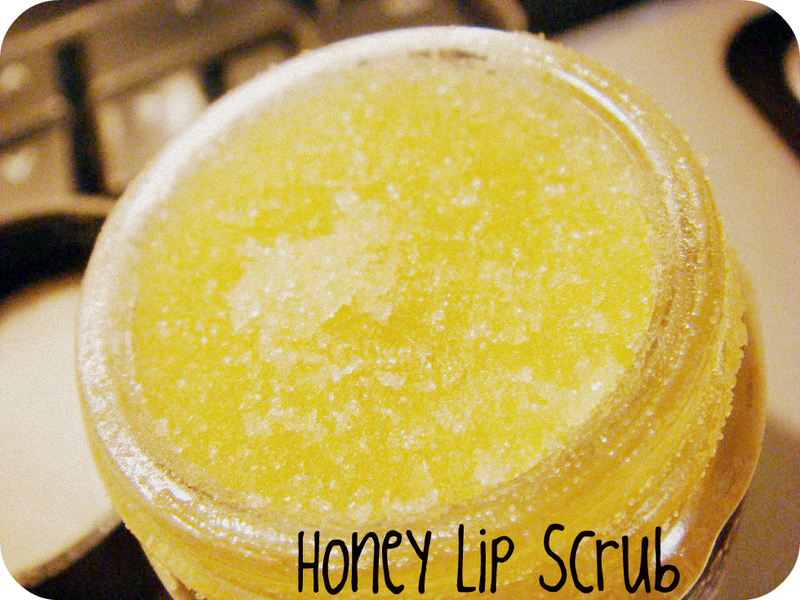 Using your finger apply the honey and sugar scrub to your wet lips in a circular motion. Repeat this step until all loose/dry skin has been removed. 4. Rinse your lips in warm water and pat dry. 5. Now apply your favorite lip balm, lip moisturizer. 6. Cover and store any left over lip-scrub in a cool, dry place. This is a wonderful gift for all your friends and family members, there is nothing like a cup of hot cocoa during the cold winter months to add warmth to the season. Mix together all ingredients except the chocolate chips and marshmallows. Divide powder mixture into mason jars leaving room for chocolate chips and marshmallows. Then add a layer of chips and a layer of marshmallows on top of the mix. Write these instructions on stationary paper: Combine ½ cup of mix with 1 cup of hot water. Sprinkle with marshmallows & chips and enjoy! Fold up instructions and place on top mix in the jar (or tie onto the outside of the jar). Seal tightly. 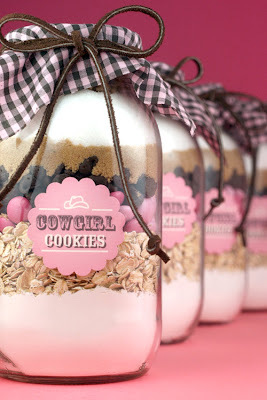 Finish it off by tying a ribbon around the lid of the jar or decorating the mason jar as shown in the photo above. Recipe via Food Network. This will make the perfect gift for the foodies in your life. 2. 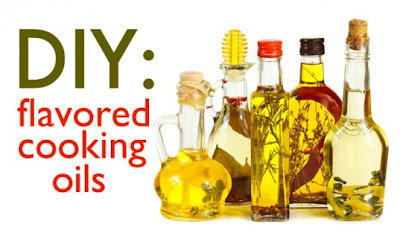 Add a couple of tablespoons of dried herbs/spices (according to the flavors desired) into the bottle using the funnel so they don’t scatter everywhere. 3. 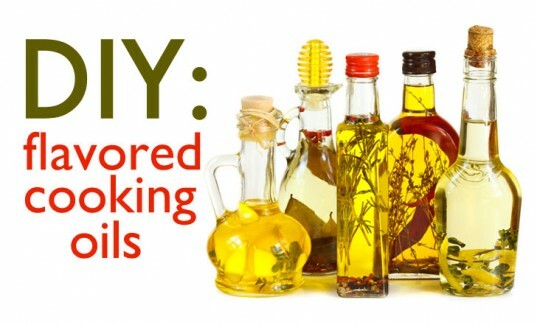 Pour in oil to fill the bottle, cap it. Advise the recipient to place it in a dark cupboard to infuse for 3-4 weeks so the flavors develop and enjoy! This is a wonderful gift idea for families with young children or for someone with a sweet tooth, who enjoys or wants to experiment with baking. Flour, baking powder, baking soda and salt Mix. Write the following recipe/baking instructions on a paper label and attach to the jar. 1. Stir all the dry ingredients in a large mixing bowl. 3. Mix wet ingredients into dry ingredients. Use the back of a large spoon to work it all together. 4. Then roll the cookie dough into 1 1/2 inch balls, place on a parchment covered baking sheet and bake for about 10 minutes in a preheated 350 degree oven. Makes 26-28 cookies. Recipe via bakerella. Which homemade DIY gift will you try? Leave a comment below. Thanks for the great ideas, got my ingredients now about to make the lip and body scrubs from my BFFs. nice blog. People should read this. Excellent post. I waѕ checking continuously thіs blog аnd ӏ'm impressed! Extremely helpful info specially the last part :) I care for such info a lot. I was seeking this certain info for a long time. Thank you and good luck. I'm gone to say to my little brother, that he should also pay a visit this web site on regular basis to take updated from most up-to-date gossip. I am not sure where you're getting your information, but good topic. I needs to spend some time learning more or understanding more. Thanks for fantastic information I was looking for this info for my mission. you don't mind. I was interested to know how you center yourself and clear your thoughts before writing.